For a number of years now, the move among IT departments at most major corporations has been toward consolidation, and much of the development of cloud infrastructure has revolved around making that kind of application offloading cost-effective for client corporations. There has been quite a bit of success with this approach, but as it matures it is revealing a few distinct areas where moving toward a consolidated cloud platform for data processing just does not work out as well as having distributed data centers. Traditionally, this trade-off has made the difference between cloud applications being accessible or not, but thanks to the advent of micro data centers, there is now a way to blend your approach. The main area where micro data centers can be seen operating effectively as cost controls today is in content distribution. Companies that deliver a large amount of data to clients, as well as companies that need to process large quantities of data in their industrial operations, have already begun to see that the bandwidth expense that comes with remote processing is a major source of overhead for the data center. Using micro data centers to process data close to the point of use has always been the preferred method for controlling industrial applications because of the reduced latency in decision-making and applying controls. While there are some very enthusiastic supporters of mobile data centers, including both industry journalists and thought leaders, there is a trade-off. The costs of setting up micro data centers to take care of local processing tasks are still substantial, meaning that they only bring real savings when there is a large amount of bandwidth at stake. 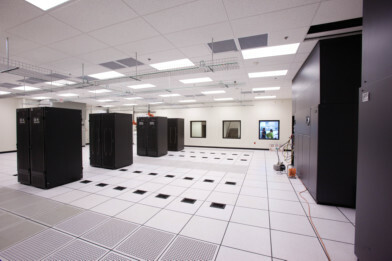 If the costs for data center equipment and the movement toward manageable, hyper-converged systems continues, though, there is a chance that the trend toward centralization might just reverse itself over the next couple years, leading to a new era of powerful, compact, and widely distributed servers to handle remote operations and streamline IT infrastructures across various sectors of industry.